Our overnight adventures gives you the chance to experience and enjoy nature during the twilight hours where the outdoors come to life. Spending a night outdoors gives you the chance to see bats, owls, the sunrise and experience the magic of the dawn chorus. Why not extend your learning or birthday party? Start time 3pm- 11am (times will varying according to the time of year). Suitable for ages eight to eighty. 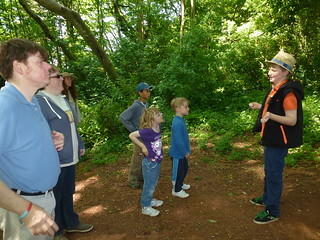 Overnight adventures will take place in secluded woodland sites in South Devon. They can be tailored to suit the special occasion or the interests of the participants, such as themed events and activities, opportunities to learn traditional crafts, or just relaxing with friends. Additional nights (residential) are possible to extend the experience. Night walk, with the chance to find bats and listen to owls. The only thing you need to bring will be a curious and open mind which is ready for an adventure into the wild. We will be there to share our passion and love of the natural world, with a few surprises! The staff team are all qualified and experienced outdoor practitioners, who have a passion for playing and being outdoors, as well as being DBS checked and having first aid qualifications.